The WA State Department of Social and Health Services Mobile Community Service Office is coming to Ocean Shores on February 13th. According to Ezra Paskus with DSHS, the department will be there to do application interviews for Food and Cash as well as yearly reviews, and to answer any questions on active cases or about any of their services. DSHS will be at the IGA from 9:30 am to 1:30 pm on February 13. 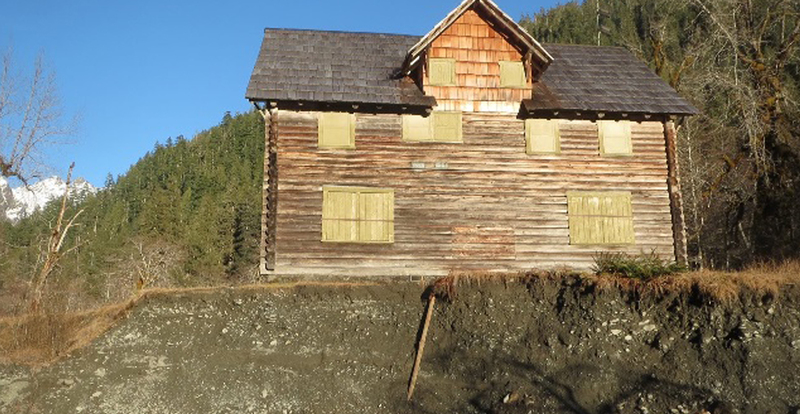 Following reports that the historic Enchanted Valley Chalet was dangerously close to being swept into the Quinault River, the Olympic National Park says that they are hoping to avoid the loss. Olympic National Park says the shifting Quinault has come within a foot-and-a-half of undercutting the building. Spokeswoman Barb Maynes says officials are monitoring the building by air until someone is able to hike in. Located 13 miles up trail from the Graves Creek trailhead in the Quinault Valley, the chalet was built by Quinault Valley residents in the early 1930s, prior to establishment of Olympic National Park. It served as a lodge for hikers and horse riders in Enchanted Valley. It’s now mainly used as a summer ranger station and emergency shelter. The chalet was added to the National Register of Historic Places in 2007.